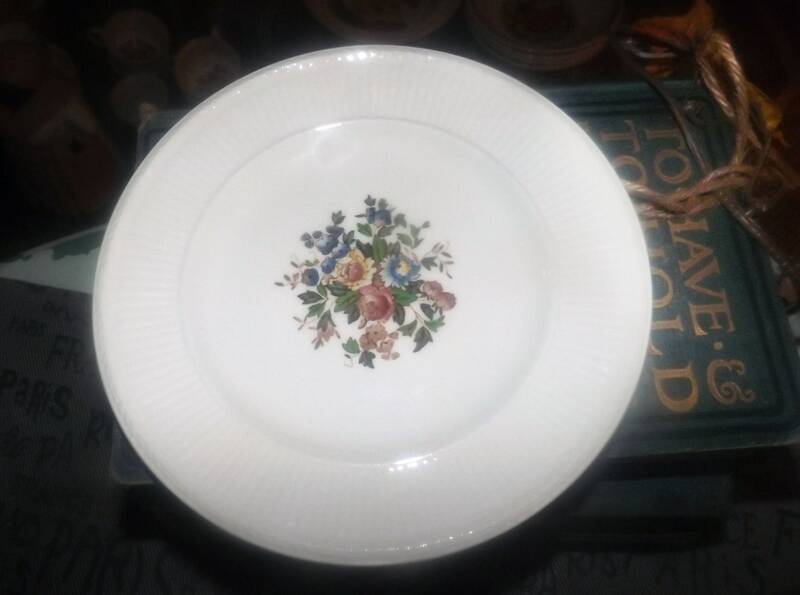 Quite vintage (1930s) Wedgwood Conway AK8384 hand-decorated bread-and-butter, dessert, or side plate. 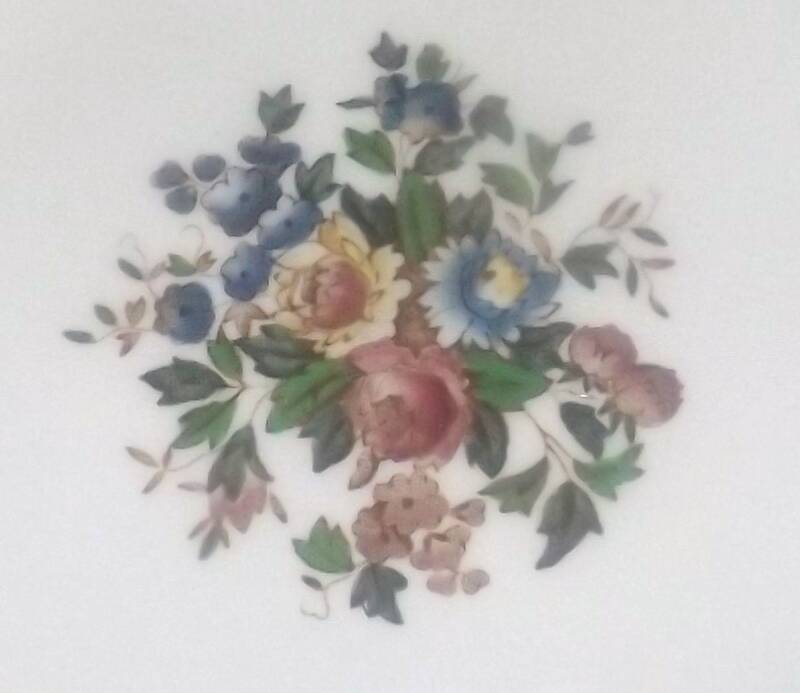 Edme shape, multicolor florals. 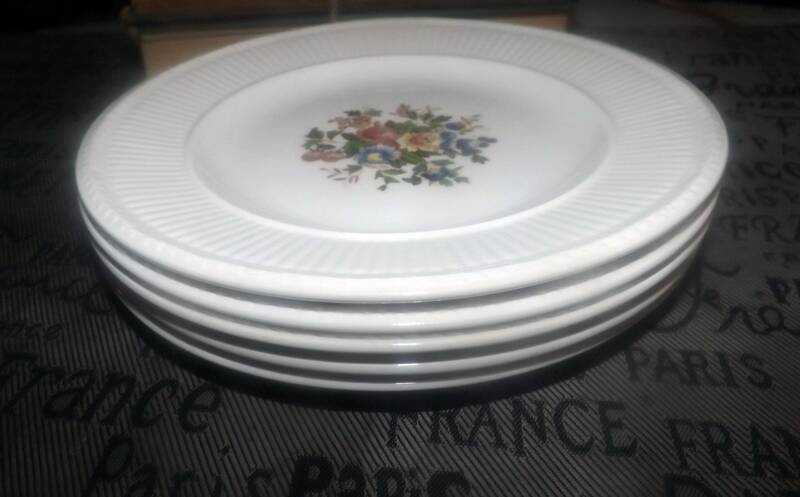 Quite vintage (1930s) Wedgwood Conway pattern AK8384 hand-decorated bread-and-butter, dessert, or side plate in the Edme (ribbed) shape. Conway feature multicolor center florals set against a ground of antique white with a ribbed (Edme) verge and smooth edge. In EXCELLENT! 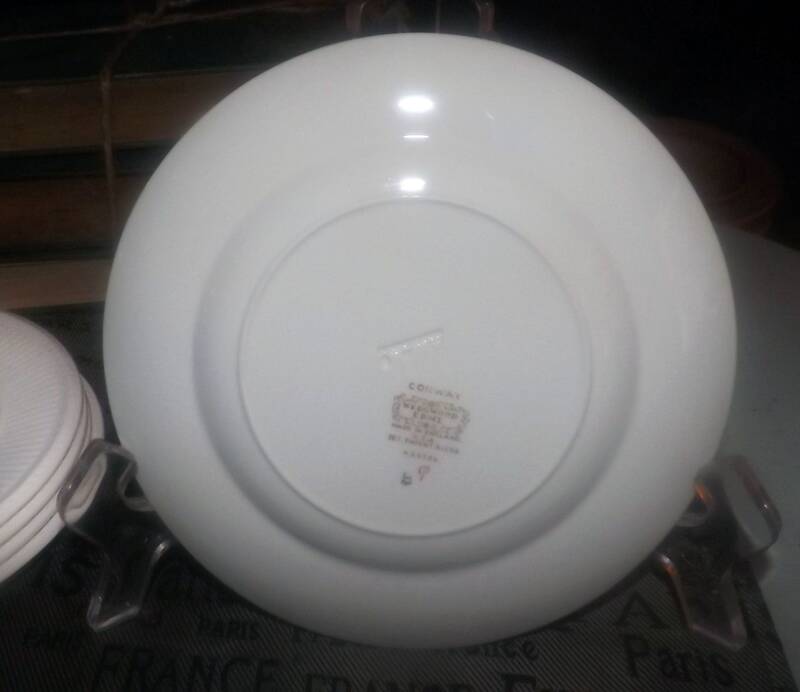 vintage condition with NO! chips, nicks, cracks, or fleabites and VERY MINIMAL! crazing. 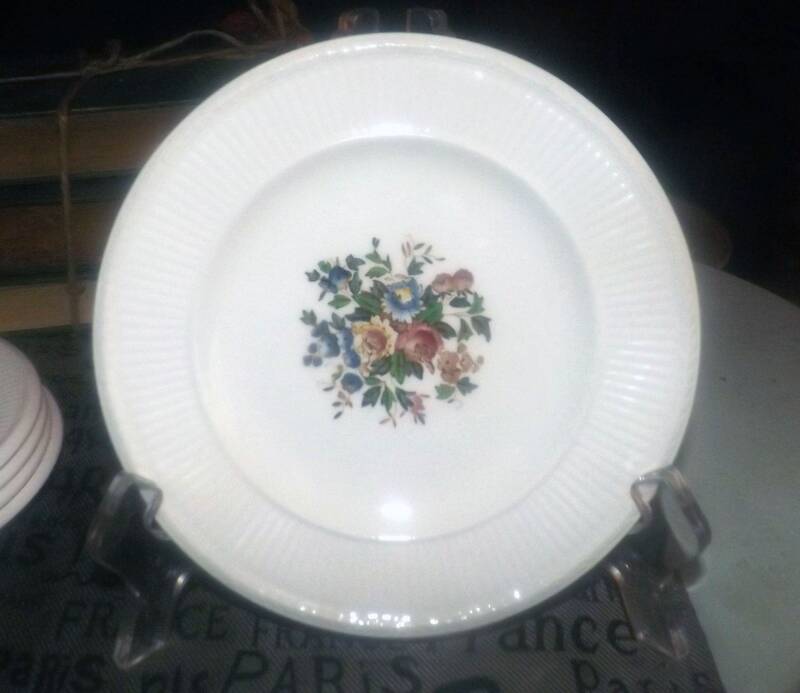 The multicolor florals in the center of the plate are bright and vivid with MINIMAL! fading. 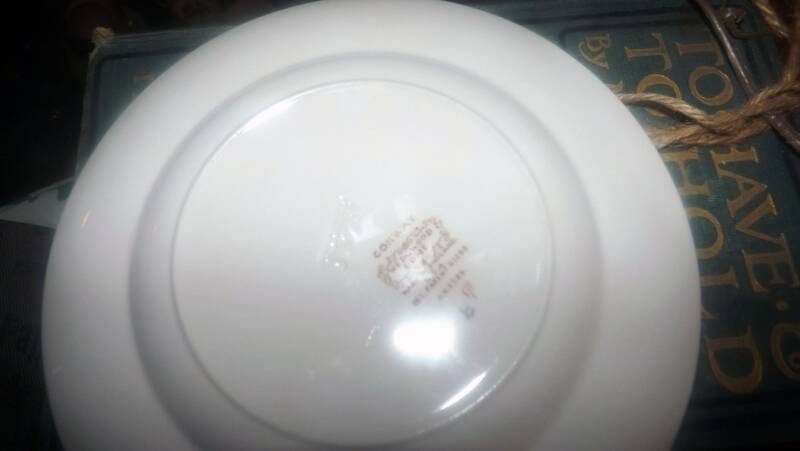 Plate bears both the Wedgwood stamped and impressed marks of the period to reverse.